It’s the freakin’ weekend, Columbus! I hope you’re enjoying summer as much as I am. There’s so much to do this weekend and I won’t keep you waiting so, here are 17 awesome ways to spend your weekend in Columbus. What: Presented by Byers, the North Market Ohio Wine Festival is back for its 17th year. 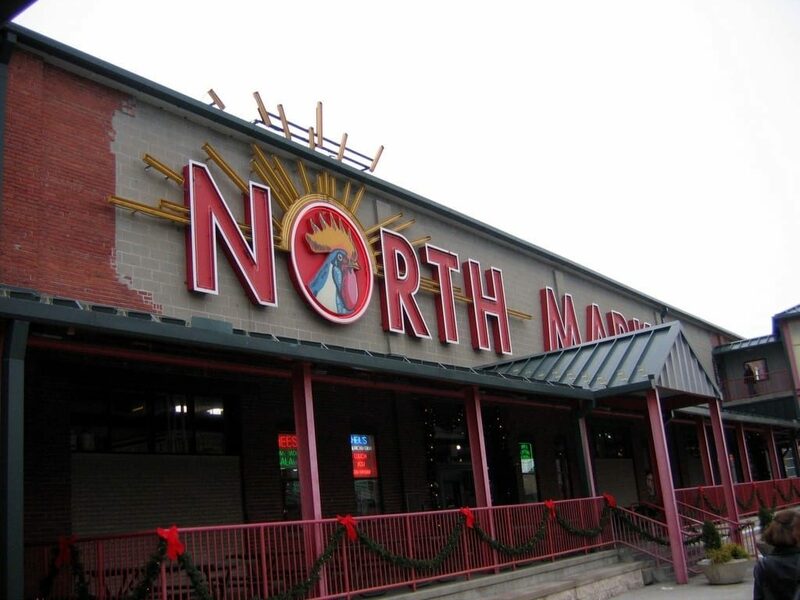 20 of Ohio’s finest wineries will be at the North Market with tastings, a farmers market, and entertainment. Tickets are $25 for admission to both days of the festival. When: July 13, 5 p.m. to 9 p.m. and July 14, 1 p.m. to 9 p.m.
What: The Italian Heritage Summer Festival is this weekend in Dublin. Head down to Coffman Park for amazing Italian cousine, drinks, dance, music, and more. What: The Amazing Dog Show benefits PetPromise Inc. At 400 W Rich St. you’ll see hundreds of handmade art pieces from local artists, a raffle, a booth about PetPromise Inc. and the best part- adoptable dogs! You won’t be able to take a pup home right there but they will get you started on the adoption process immediately. When: July 13, 7 p.m. to 10 p.m.
Where: 400 W Rich St.
What: For the fifth year in a row New Vision Dance Co. will be at the Short North Stage. Their new show “Branching Out” will feature works by Artistic Director Melissa Gould, Composer Michael O’Dell, and Sculptor Sarah Hahn. Tickets are $15. When: July 13, 8 p.m.
What: Head to the commons with the Columbus Symphony as they continue their summer series. This show will feature soundtracks from movie classics and modern favorites. Children will get to enjoy free popcorn and pre-concert activities like games and face paint. Tickets are $10. When: July 13, 7 p.m. Partly cloudy. High of 92F. What: This is the seventh annual Bids, Barks, and Beats silent auction. This event benefits Peace For Paws Ohio. There will be a cocktail hour with a full-service bar, a silent auction, live music, and fashion show. Tickets are $30. When: July 14, 6 p.m. to 11 p.m.
What: Celebrate the Harlem Renaissance of the Eastside of the Cultural Wall Music Festival. There will be shows from a variety of artists such as Mojoflo, Jazz Patrol 2.0, and The Urban Jazz Coalition. When: July 14, 2 p.m. and July 15, 7 p.m.
What: This 21+ night at the Columbus Zoo is sure to be amazing. Take a tour through dinosaur island, enjoy snacks and drinks, and enjoy an evening with Nina West and her animal friends. Tickets are $50, $40 for zoo members and can be purchased here. Be sure to grab them now because they’re selling fast. When: July 14, 7 p.m. to 10 p.m.
What: The 45th annual Westerville Music and Arts Festival will have over 130 artists, over 30 performances, and 20 food trucks. This year they’ll have the first ever Anniversary Concert, featuring Shucking Bubba on The Middlefield Banking Company Main Stage. When: July 14, 10 a.m. and July 15, 4 p.m.
What: Summer Jam West is an annual music and arts festival. There will be local artist vendors, live music, food trucks, and kids activities all day long. The event is completely free to attend. When: July 14, 11 am. to 7 p.m.
What: It’s All Been Done Radio Hour is a comedy group that performs in the format of old-timey radio serials. They will be at MadLab Theatre this Saturday. Shows are about 80 minutes long and usually consist of four different programs. Tickets are $7 here. When: July 14, 5:30 p.m.
What: The Franklin County Fair begins this Saturday! Head down to the Franklin County Fair Grounds to get your fill of funnel cakes, fair rides, harness racing, crafts, and more. What: Courtney Barnett takes the stage at the Newport Music Hall this Saturday. Doors open at 7:30 and Vagabon will open for her. Tickets are $30 on the day of the show. When: July 15, 7:30 p.m. Partly cloudy. High of 90F. What: Panic! At The Disco will be playing Nationwide Arena this Sunday as part of their Pray For The Wicked Tour. Hayley Kiyoko and Arizona will be their openers. Tickets start at $40. When: July 15, 7 p.m.
What: The Wendy’s Frosty 5K raises awareness for the Dave Thomas Foundation for Adoption. The funds rasied go to support adoption efforts here in central Ohio. When: July 15, 7 a.m. to 11 a.m.
What: This day is all about family, featuring tons of art inspired activity books, crafts, and stories. Admission is free, so bring the kiddos too! When: July 15, 12 p.m. to 5 p.m.
Where: Pizzuti Collection, 632 North Park St.
What: This tour features 12 homes or gardens and one church in the historic Franklin Park Neighborhood. The tour is walkable but shuttles are available. There will also be food trucks about halfway through the tour. Tickets are $20 in advance, $25 on the day of. When: July 15, 1 p.m. to 6 p.m.
Where: 1820 Franklin Park St.